New garage to include tailgating, fast exits, glassy stairways and direct arena access. Back to the full article. 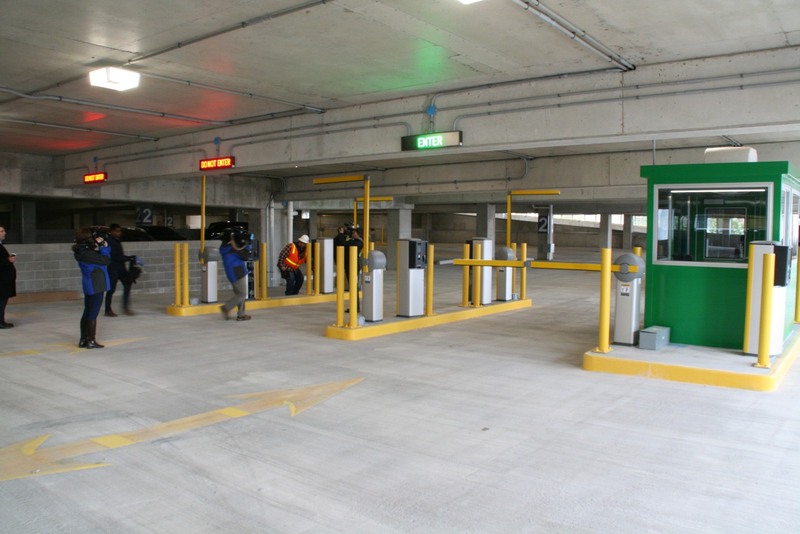 Reporters and camera operators fawn over new parking gates at the 5th Street Parking Structure. Photo taken October 31st, 2017 by Jeramey Jannene. All Rights Reserved.